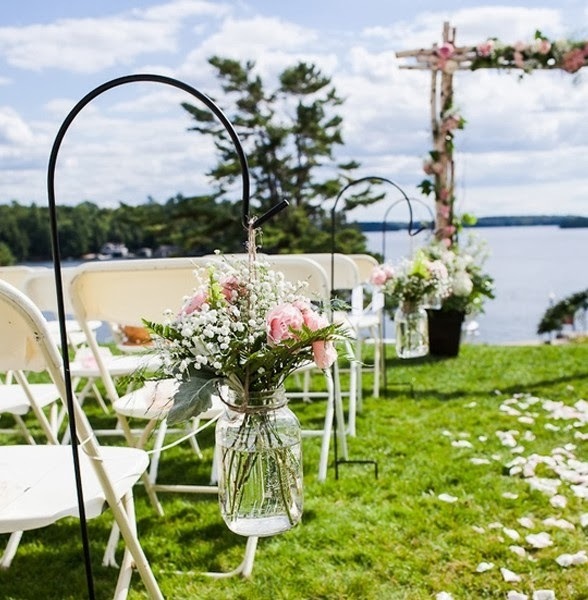 If you are one of the many brides who have dreamed about being married in an outdoor wedding, then here are some outdoor wedding ideas for all seasons. 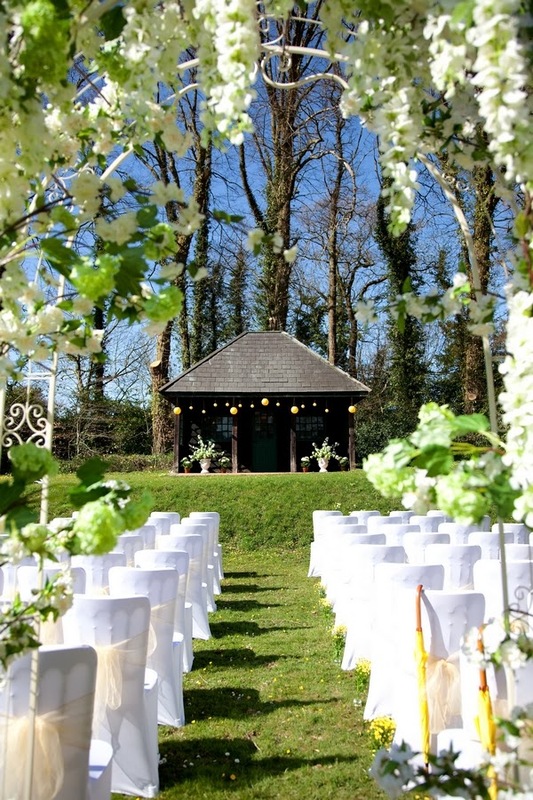 There are many locations to choose from for your outdoor wedding. Make sure you pick a place that best suits your wants and needs. Also, you need a back up plan if the weather turns to hot, to cold or rainy. 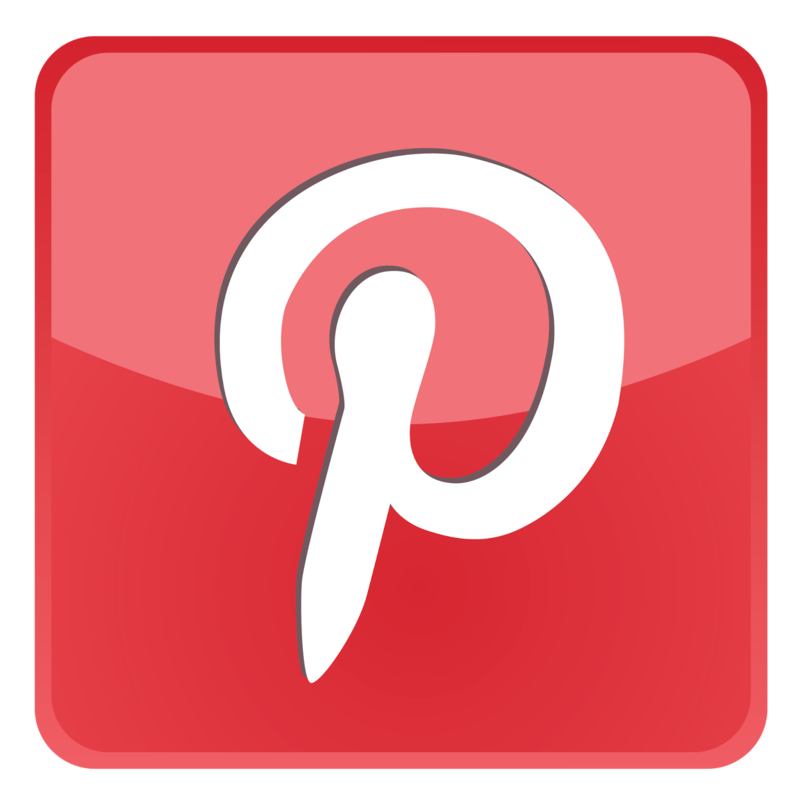 You need an indoor facility available or a rental tent that can be put up at a moments notice. 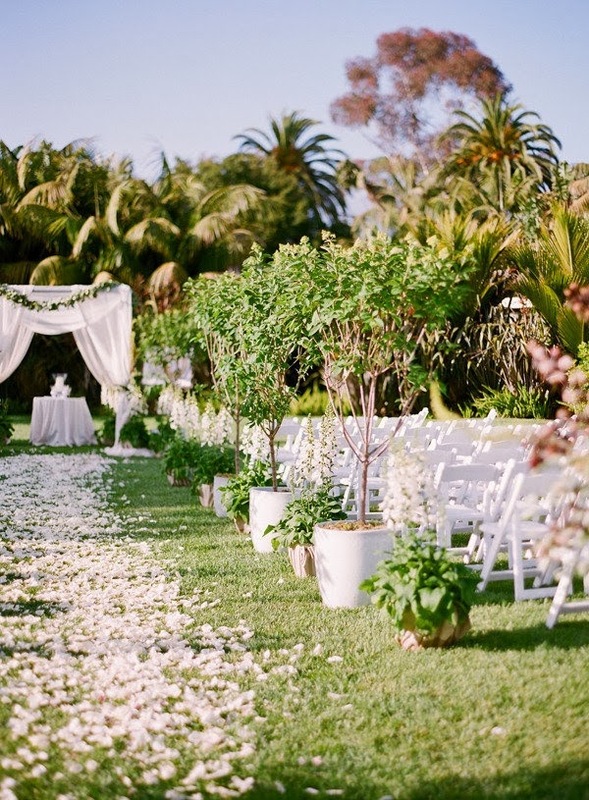 Spring outdoors is one of the most picturesque wedding settings. Whether it is a botanical garden, a park, or the backyard of a family member or friend. 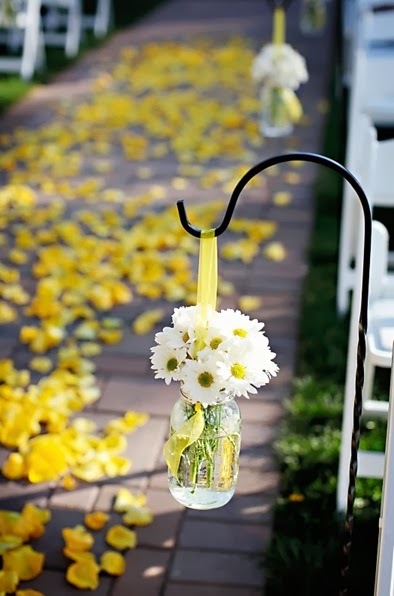 Add a springtime feel to the wedding aisle and line both sides with colorful potted plants. 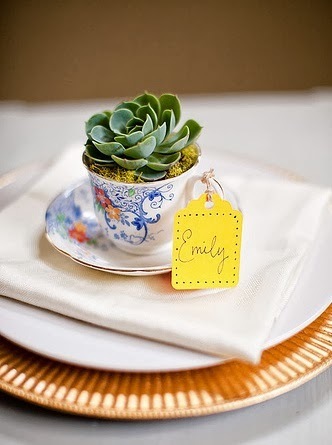 They can then be transferred to the reception area for decorations there, and finally become wedding favors at the end of the day. The food you plan should reflect the fresh fruits, vegetables and other things that are reminders of the "new beginnings" season. 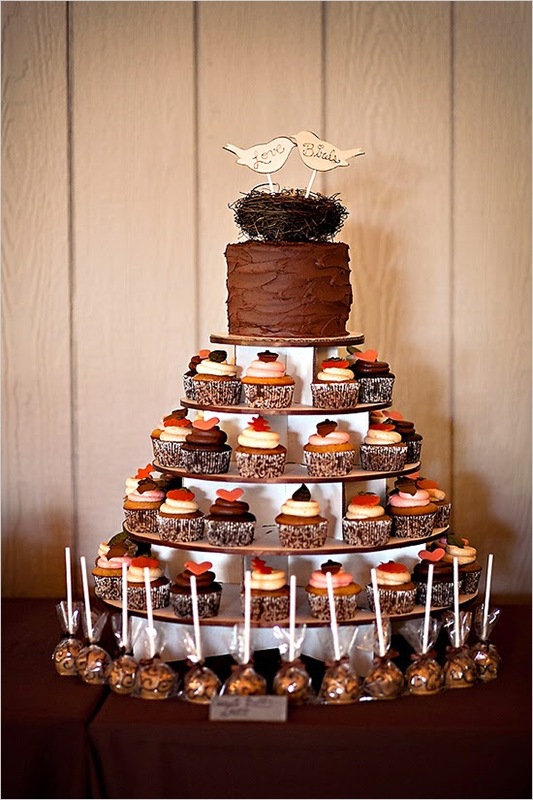 A beautiful dessert table and your wedding cake make a sweet ending to a lovely day. Think about an orange, vanilla, or carrot wedding cake. Use a lighter frosting such as cream cheese and use candy pearls and fresh fruit as part of the cake decorations. 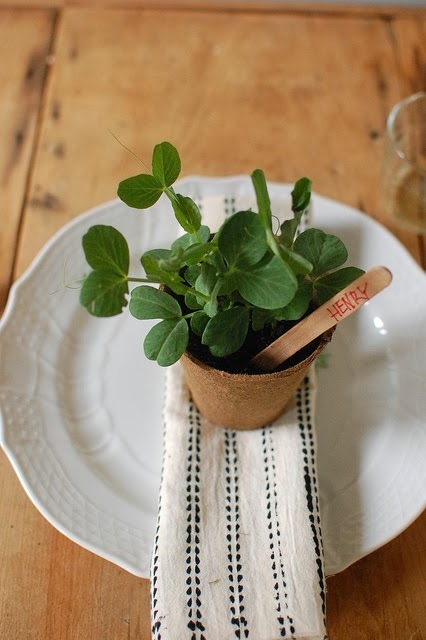 Wedding favors for your guests might be small potted herbs, several packets of flower seeds wrapped attractively, or small favor boxes of cookies in the shape of hearts, flowers, or butterflies. 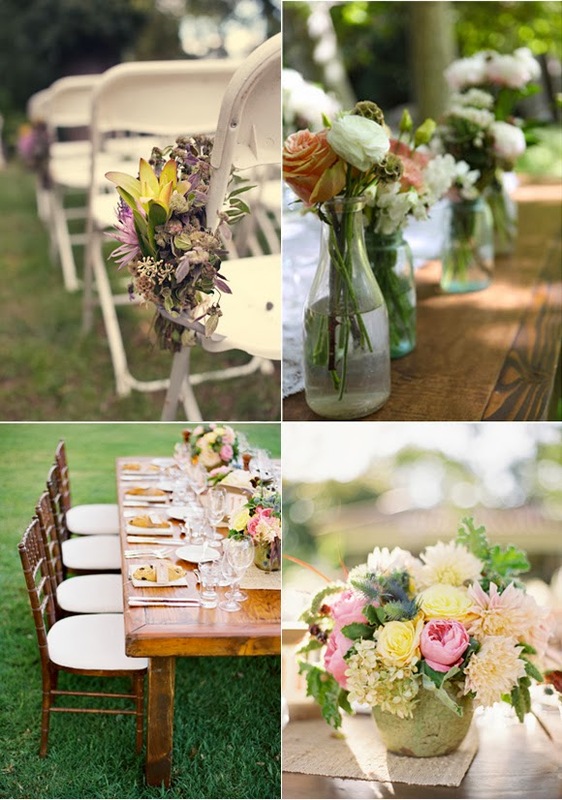 Summer outdoors is a very popular time for weddings, and if you picked this season of the year it is a great time for an outdoor wedding. There are many outdoor locations to pick from such as a beach, lakeside, mountain top, a garden or backyard. 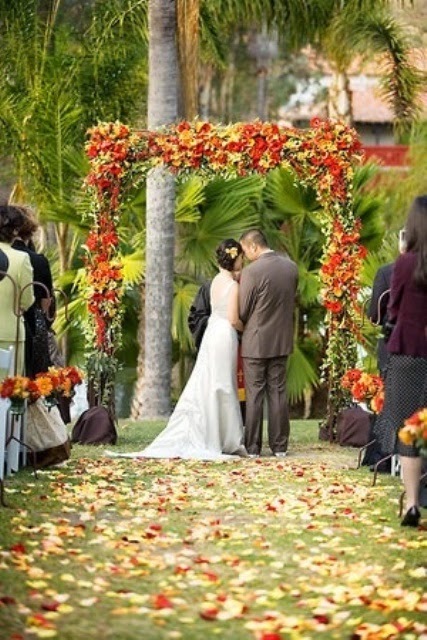 These are also inexpensive venues which will help your wedding budget. 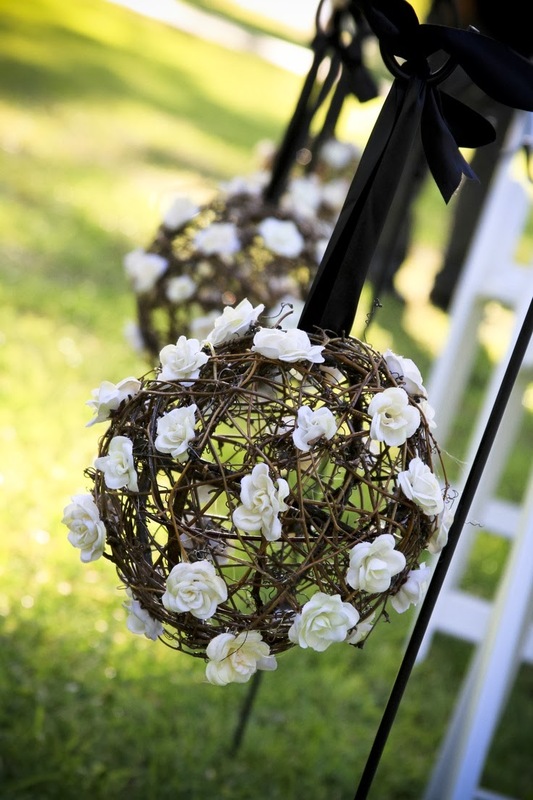 Here is a unique aisle decoration for a dramatic look. 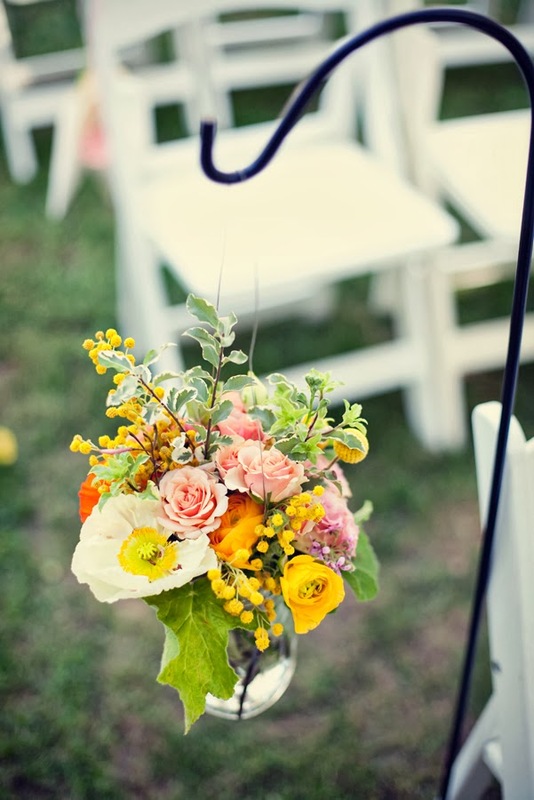 Get shepherd's hooks and sink into the ground at each or every other aisle chair. 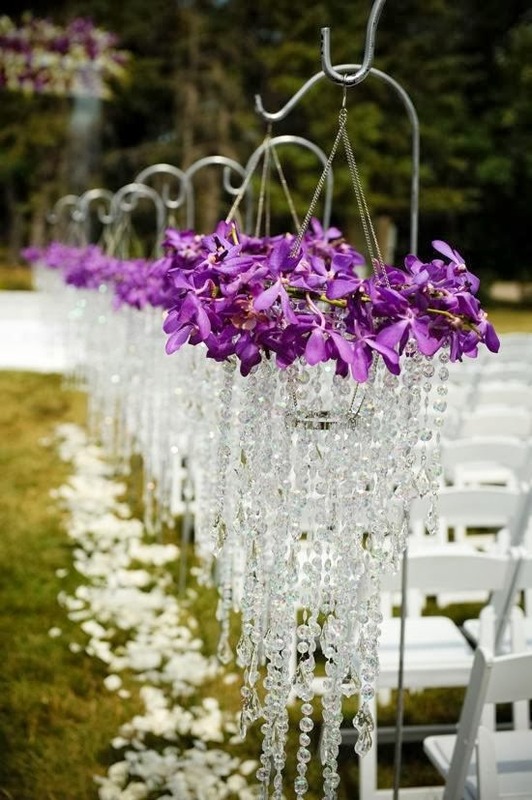 You can then hang flower balls, crystals, beads, or a theme related item from the hooks. 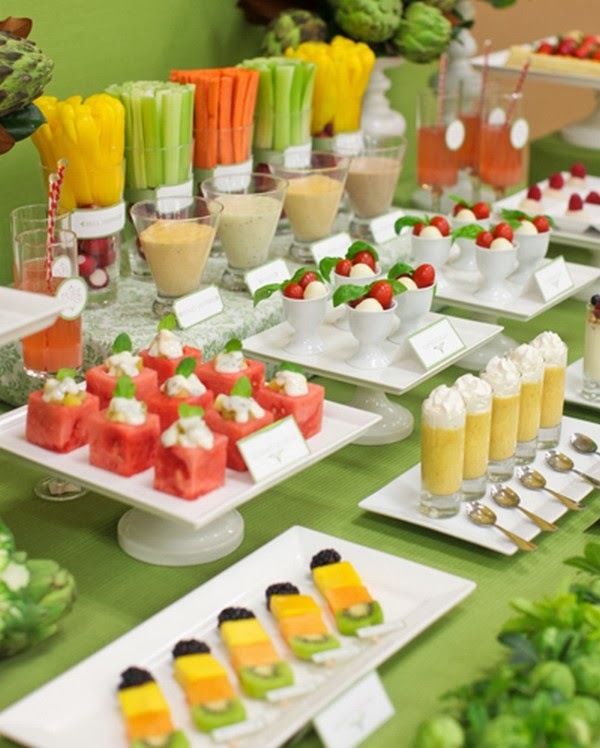 Your wedding reception menu can include chicken, seafood, cold cuts, fresh fruits and vegetables, salads and a dessert and wedding cake table. 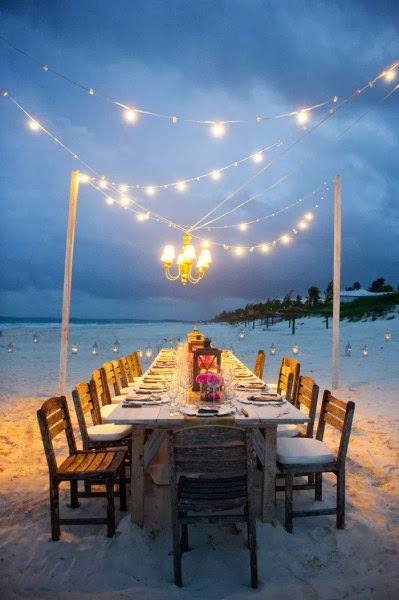 Do remember that you need to plan the food according to whether you will serve it outdoors or indoors. 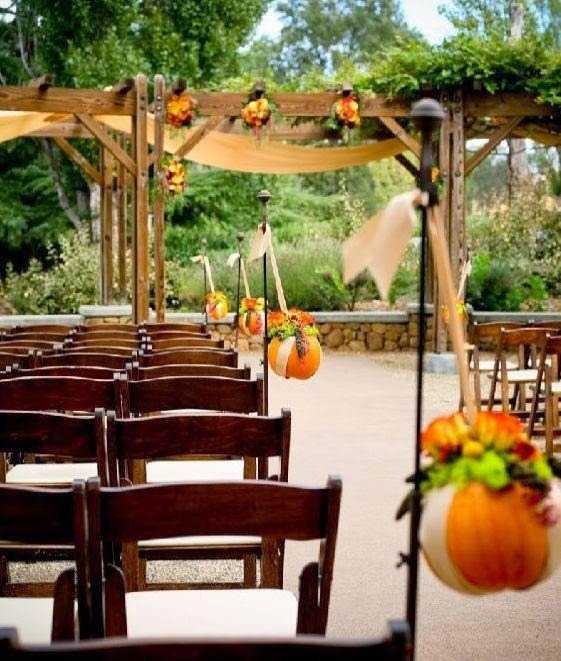 The fall outdoor wedding location depends on where you live. How lovely it would be at a state park with the leaves in all their autumn colors. A garden or yard abloom in all its fall finery, or you perhaps have a place that is special to you and your fiancé that is available. 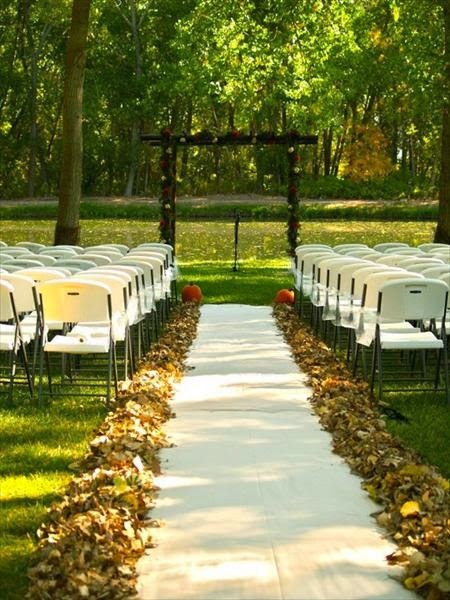 Fall leaves in their beautiful jewel tones scattered along the aisle makes a very lovely walkway to your groom. 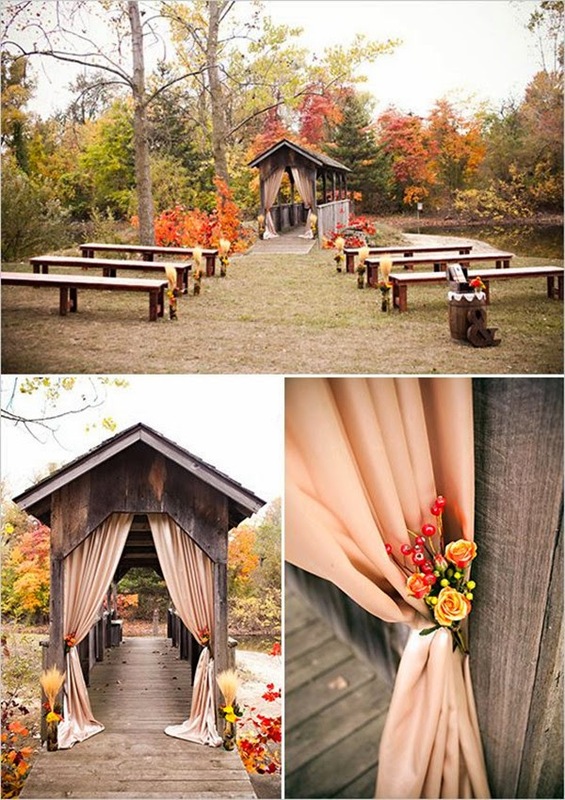 The aisle chairs draped with the same fall colored satin ribbon or tulle would finish the picture. Depending on if you are having a sit down dinner or buffet the food you serve should reflect the fall and holiday choices of poultry, sausages, beef, and the abundant and wonderful veggies of the season. 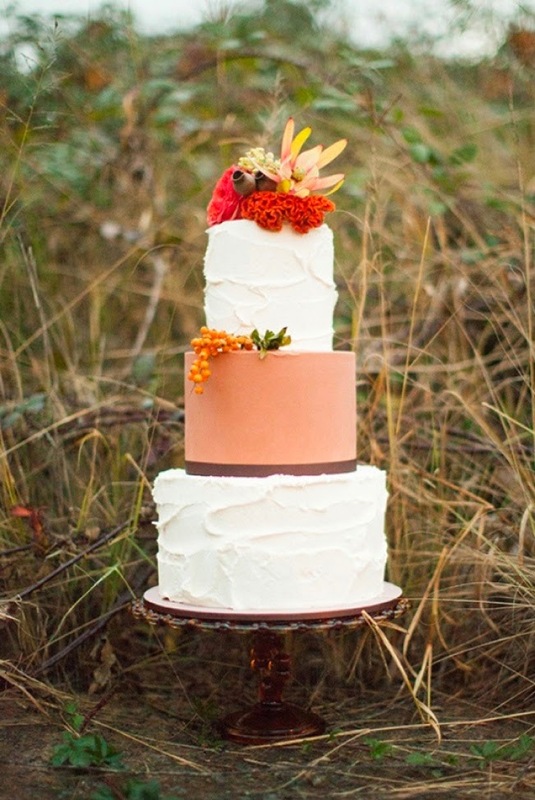 The wedding cake could be a chocolate, carrot or spice cake and decorated to reflect the beautiful fall colors. 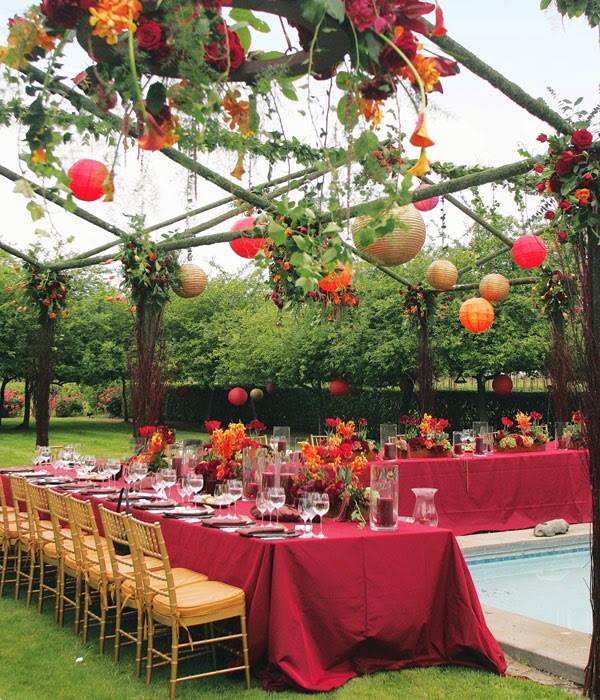 The locations for a winter wedding might be a home yard or garden, some churches have outside patio facilities that might work for you. It really would depend on what area you live it as to what is available outdoors. 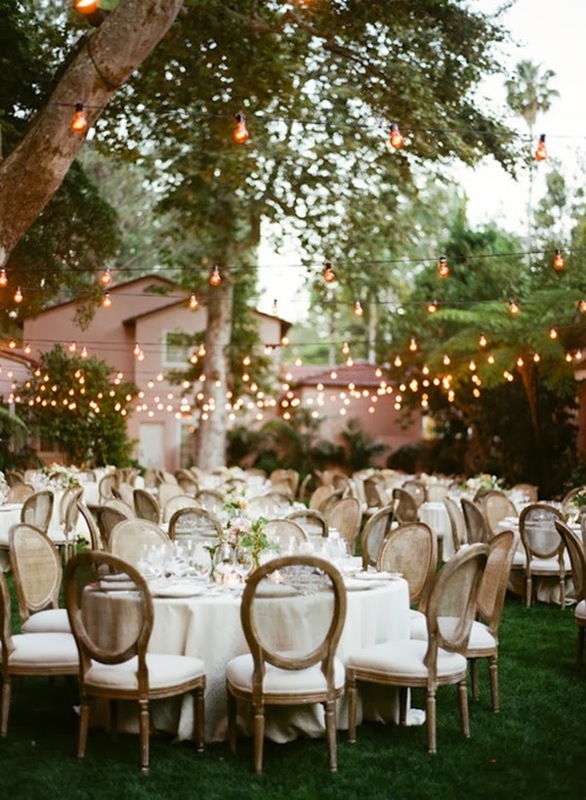 Make plans to have outdoor heaters nearby if required to keep you and your guests comfortable. 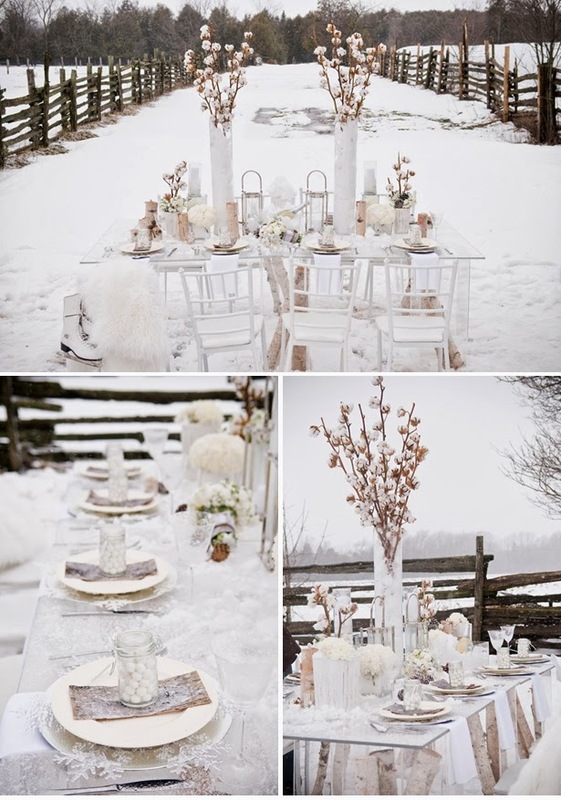 Your outdoor winter wedding is a chance to take advantage of the beautiful holiday decorations or winter white with touches of gold and silver. 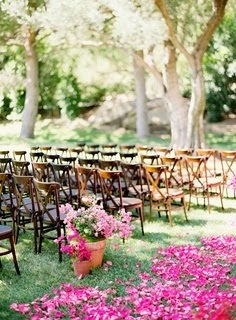 The aisle chairs might be decorated with white tulle bows and holly, or gold or silver hearts. Small gold or silver bells would look very lovely, too. 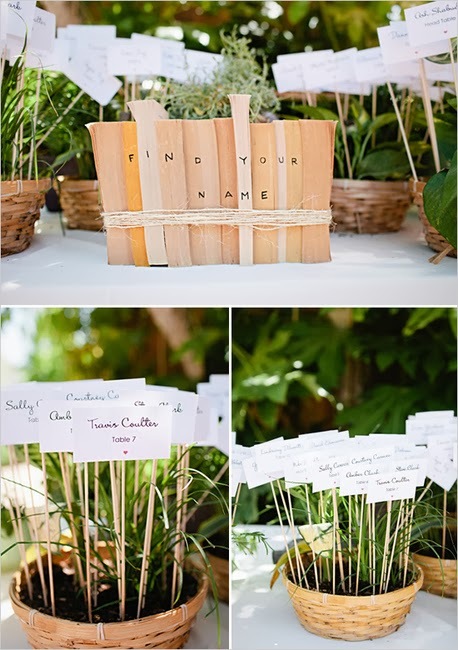 These colors can be carried out in your reception decorations as well, including your favors to each guest. The food you plan to serve whether it is indoors or outdoors should be hearty and comfort food. If a buffet, have a ham, a beef and a turkey station. Serve pasta dishes, scalloped potatoes and some of the great winter vegetables. 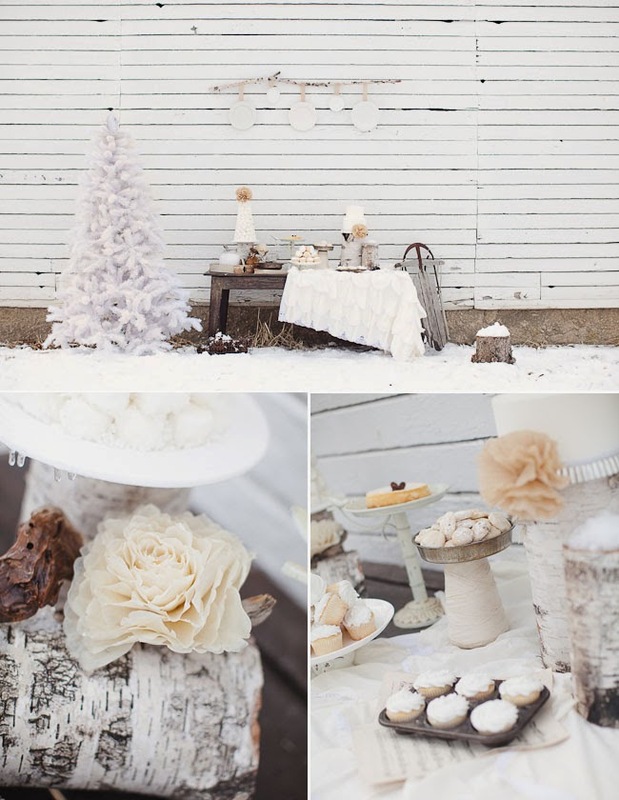 The wedding cake choices for winter are many. White, chocolate, carrot, or spice with fillings to match the flavor. 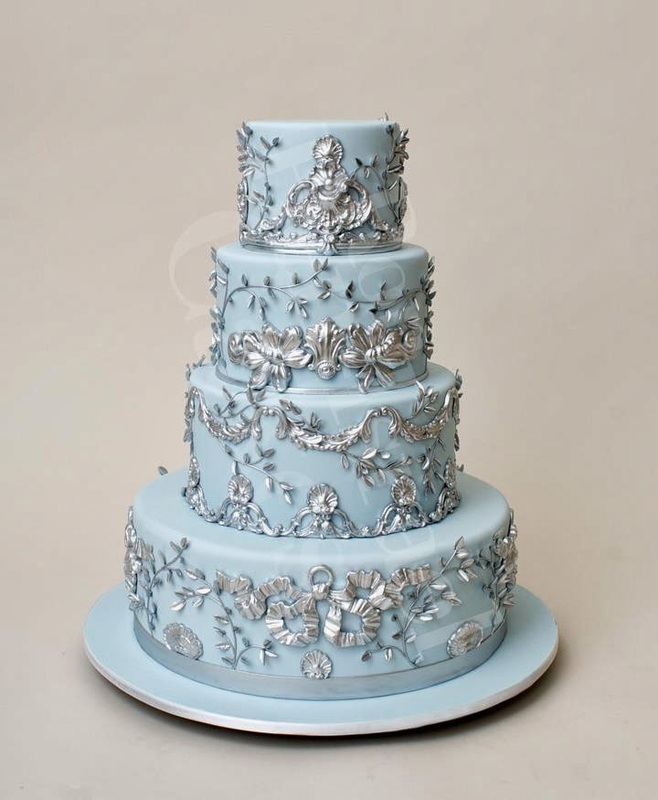 Be sure and ask the baker for a taste of the different flavors before you choose one. 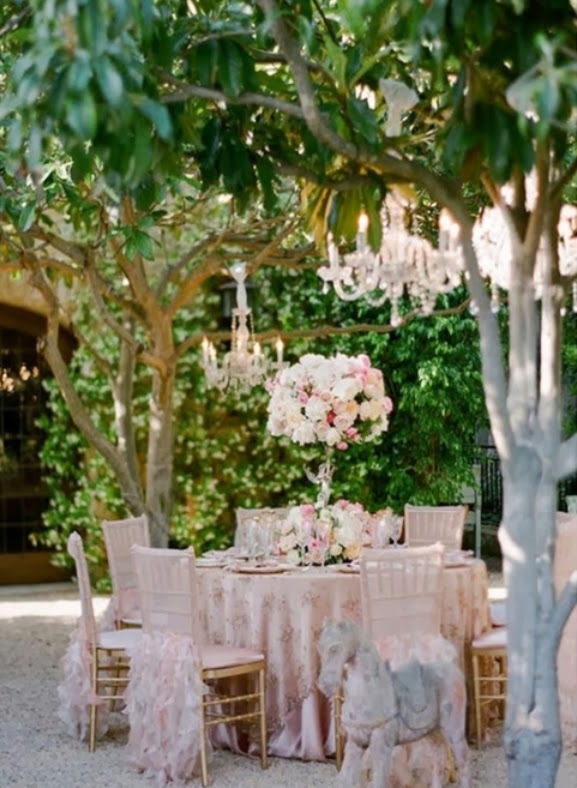 These outdoor wedding ideas simply point out that whatever date you set for your special wedding day is a wonderful and beautiful time of the year.